RMS Empress of France was an ocean liner built by John Brown at Clydebank in the UK for Canadian Pacific Steamships. 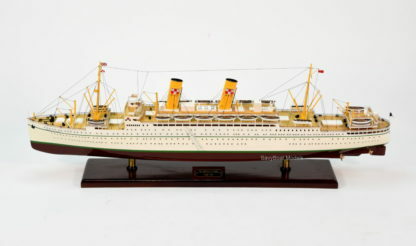 She was launched as the SS Duchess of Bedford in 1928 then renamed Empress of France in 1947. 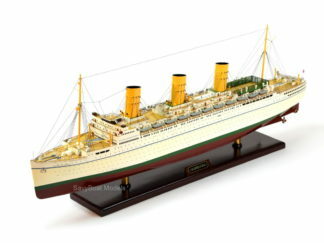 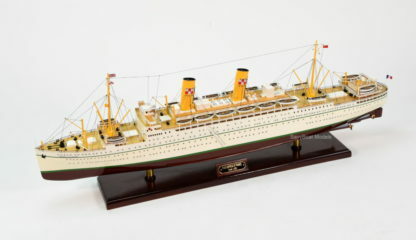 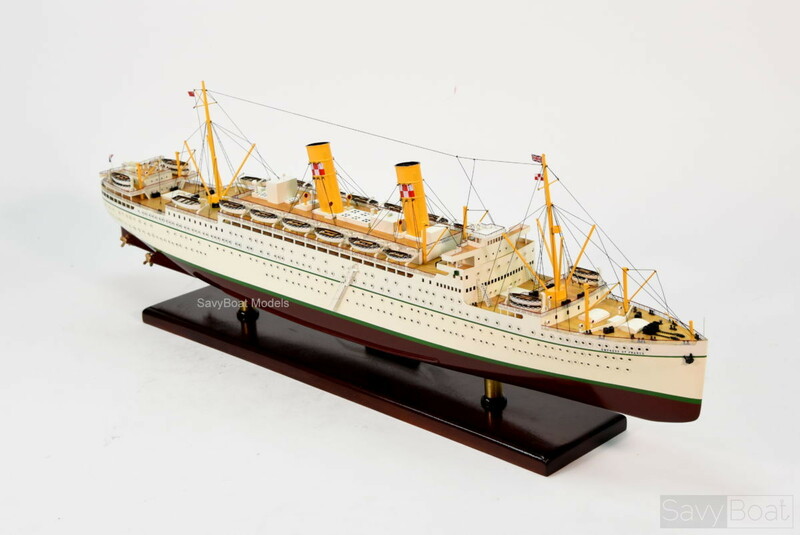 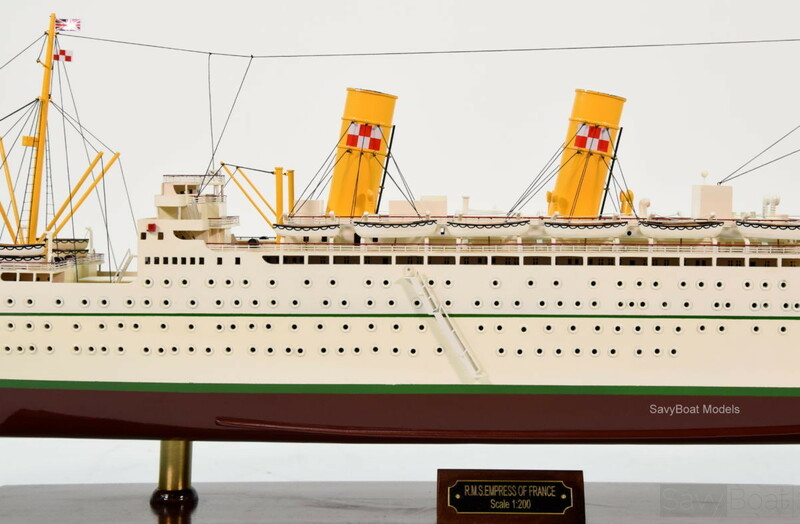 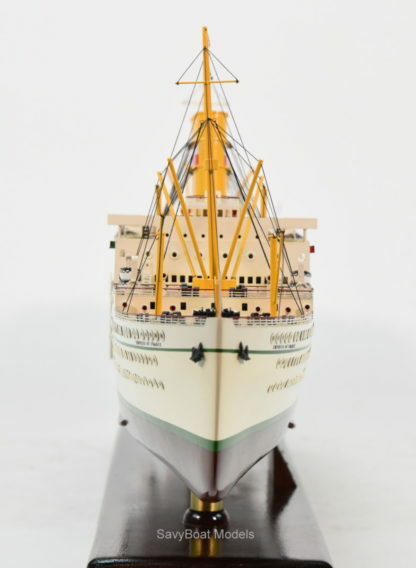 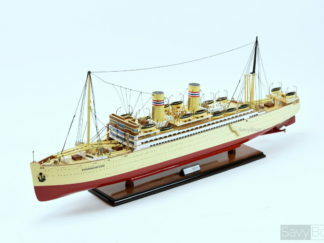 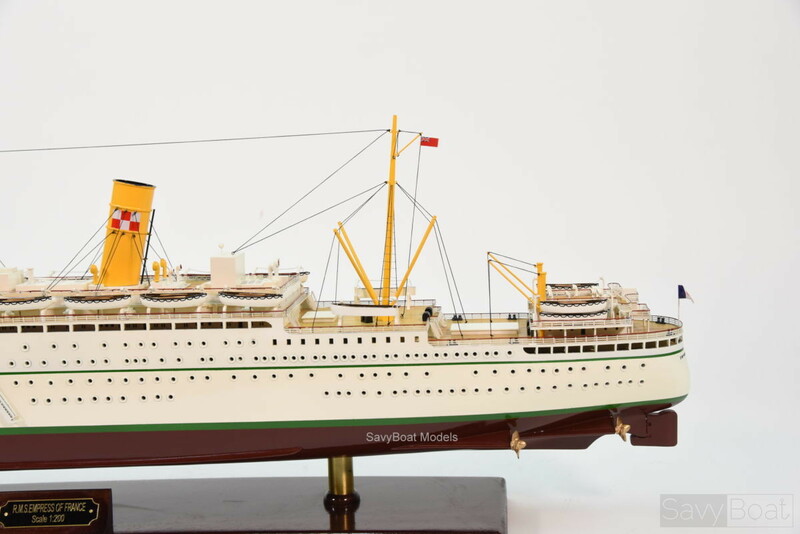 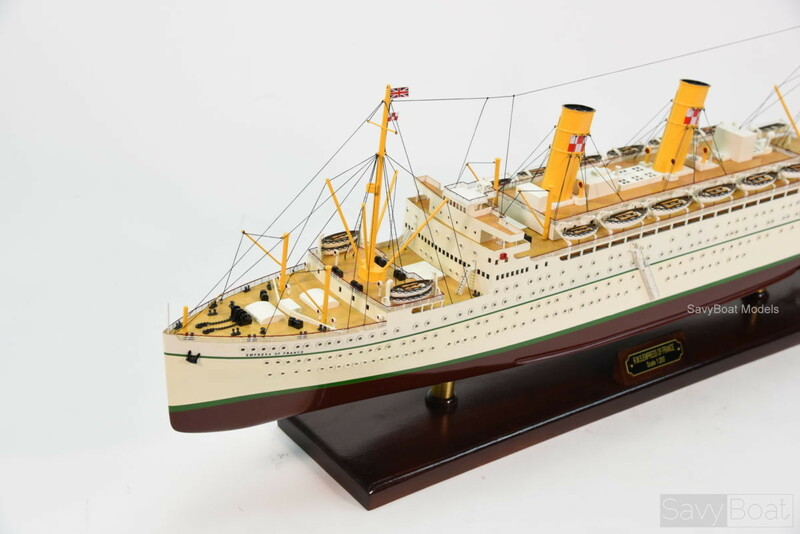 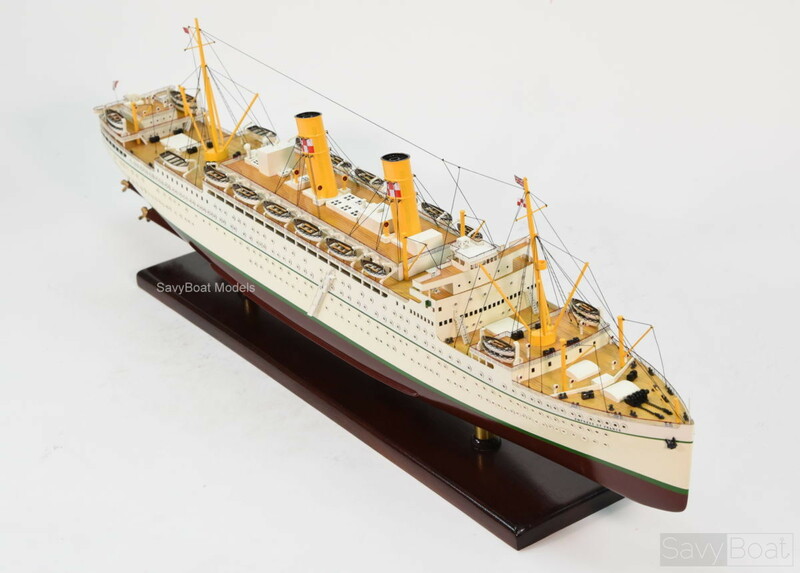 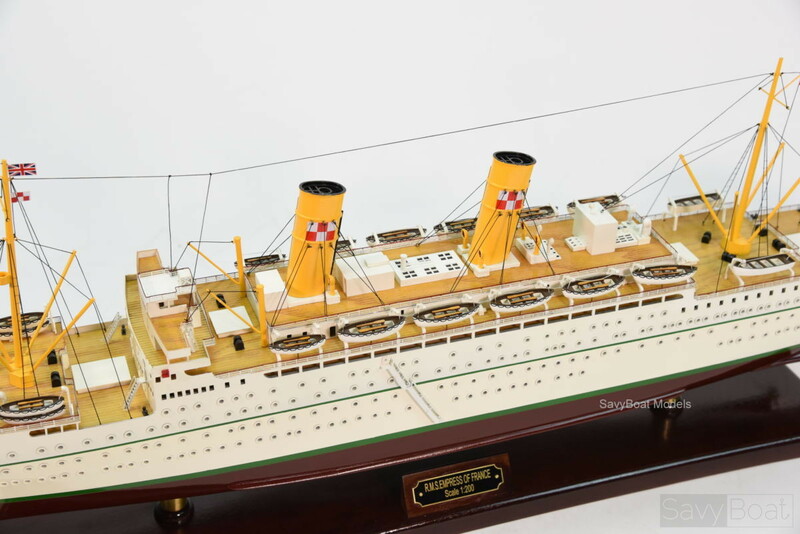 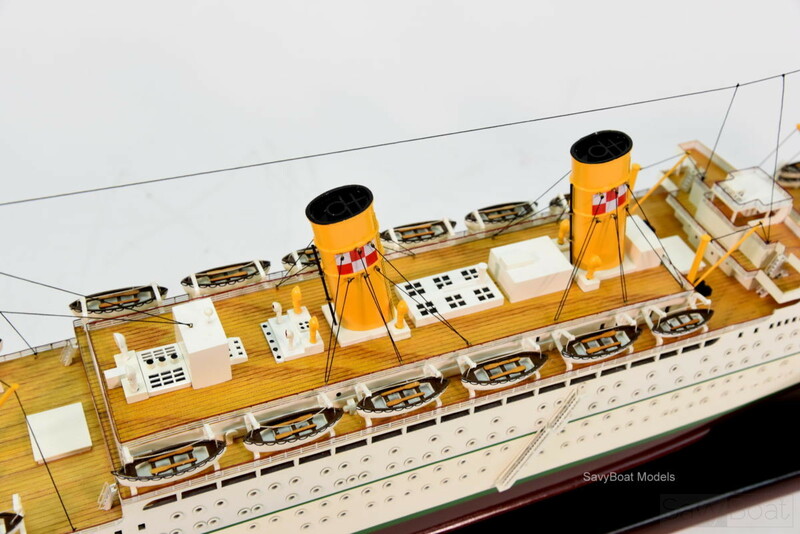 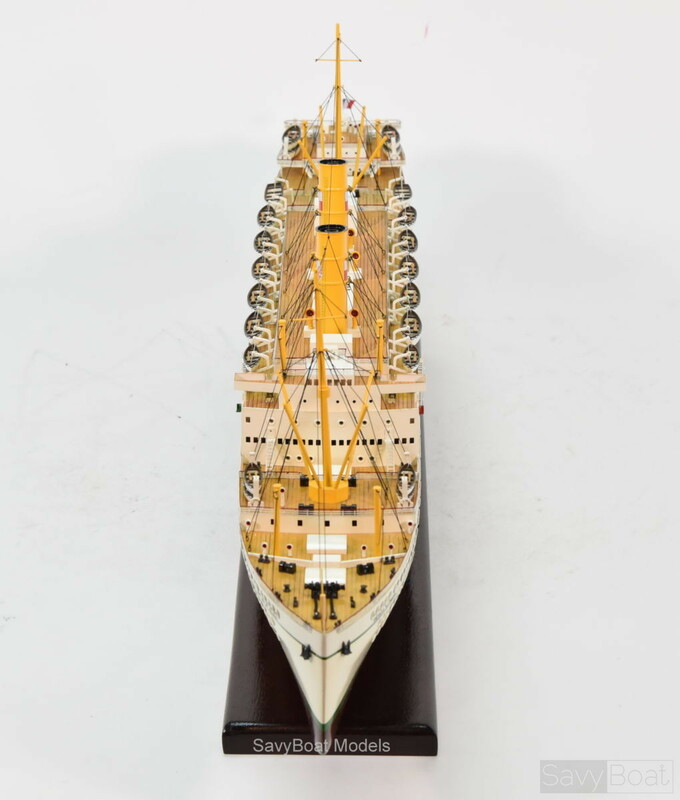 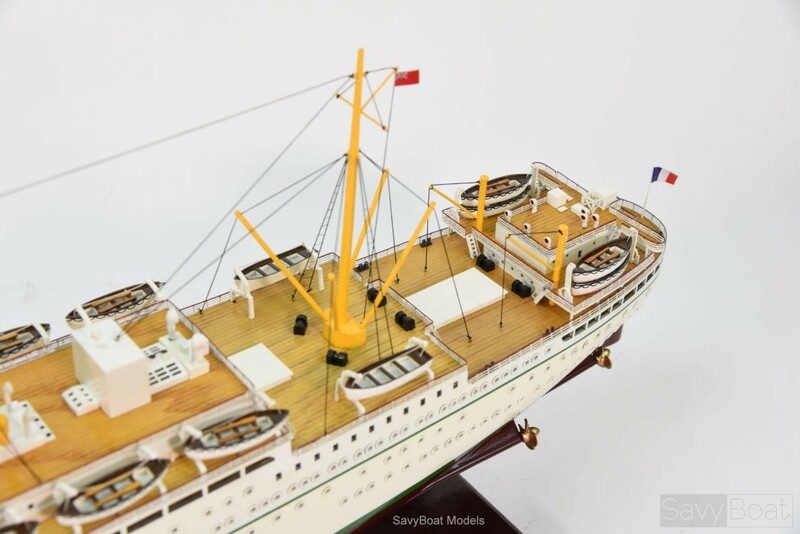 Now you can get this beautiful Empress of France model for your maritime collection. 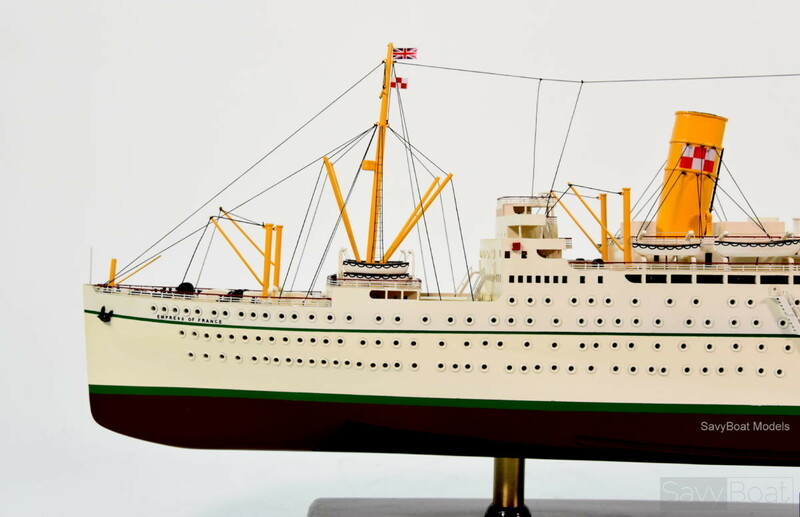 Our master craftsmen handcrafted this nicely detailed model from scratch using historical photographs, drawings, and original plan. In addition, we selected finest woods and material to build this model. 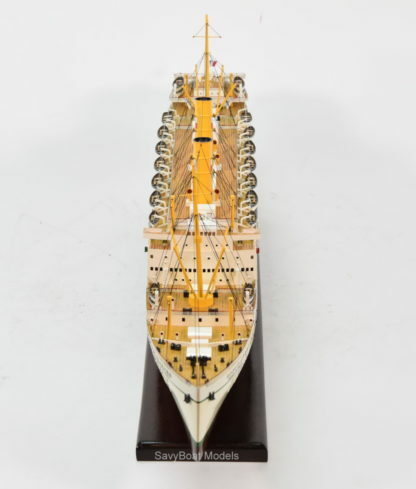 Also, we used plank-on-frame construction method to build the model to look exact of the actual ship. 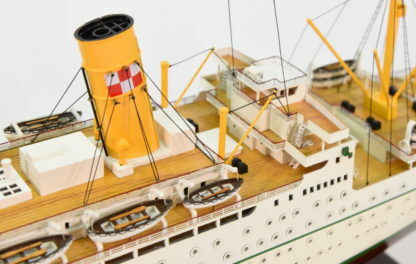 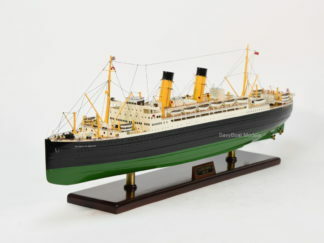 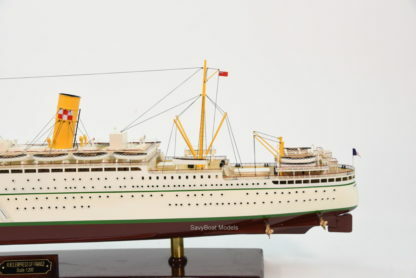 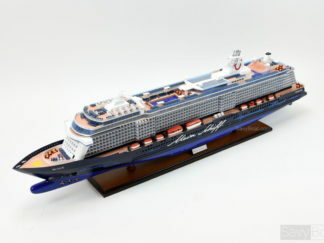 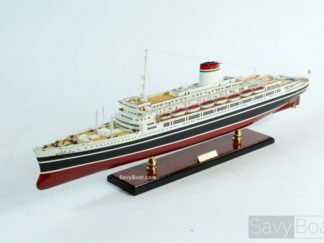 You can find many details of the model such as: All windows, doors, and portholes are cut out precisely thanks to hand-built hollow superstructure and hull; Open promenade decks visible through superstructure windows; Lattice grating on ducts and vents; Detail Lifeboats hung from launching davits; Delicate railings on forecastle, aftcastle and top superstructure; Rigging and stay-lines on all masts and smokestacks. Furthermore, we hand-painted multi-layered to match the color of the real ship.